Car shopping in the Elizabethtown area? 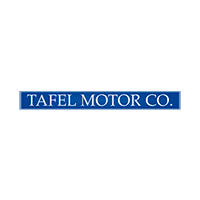 Look no further than the new vehicle inventory at Tafel Motors. We have a wide variety of Mercedes-Benz models in stock, from the popular Mercedes-Benz E-Class to the fan favorite Mercedes-Benz C-Class. Our sales team is standing by to get you behind the wheel of the model that best suits your budget and driving needs, and we always have rotating vehicle specials to make the car-buying process that much less stressful. When you’re ready to take your Frankfort commute to the next level, stop by Tafel Motors to pursue the Mercedes-Benz models for sale in Louisville, KY! Contact us today, and we can answer any questions you may have about additional services and coverages for your new car, such as GAP insurance. Sunroof, Navigation, Heated Seats, iPod/MP3 Input, Full-Time 4MATIC® All-Wheel Drive, Back-Up Camera, Remote Engine Start, Turbo Charged, HANDS-FREE ACCESS PACKAGE, ADVANCED LIGHTING PACKAGE, REAR SPOILER, WHEELS: 18 TWIN 5-SPOKE, MULTIMEDIA PACKAGE, PREMIUM PACKAGE. Polar White exterior and Silk Beige MB-Tex interior, C 300 trim. EPA 32 MPG Hwy/23 MPG City! KEY FEATURES INCLUDE Full-Time 4MATIC® All-Wheel Drive, Remote Engine Start, Back-Up Camera, Turbocharged, iPod/MP3 Input. OPTION PACKAGES MULTIMEDIA PACKAGE 8.4 high-resolution color screen, COMAND® Navigation, COMAND® Single CD/DVD, Touchpad, Navigation Map Updates Included for 3 Years, DVD Coding, ADVANCED LIGHTING PACKAGE Illuminated Door Sills, Ambient Lighting, Adaptive Highbeam Assist, Active LED Headlamps, active curve illumination and cornering lights, PREMIUM PACKAGE KEYLESS GO®, Blind Spot Assist, SiriusXM Satellite Radio, PANORAMA SUNROOF, HEATED FRONT SEATS, WHEELS: 18 TWIN 5-SPOKE Tires: P225/45R18 Fr & P245/40R18 Rr, REAR SPOILER, HANDS-FREE ACCESS PACKAGE HANDS-FREE Comfort Package, HANDS-FREE ACCESS, Electronic Trunk Closer, HEATED STEERING WHEEL. WHY BUY FROM US Tafel Motors' unparalleled customer experience begins the moment you enter our inviting, modern Mercedes-Benz dealership. Our entire staff of friendly, professional, and knowledgeable employees is focused and fully committed to meeting the needs of every guest visiting our showroom, service center, customer lounge, and our lifestyle boutique. Our goal is to deliver a customer experience so memorable that it sets a standard by which all future experiences will be judged. Horsepower calculations based on trim engine configuration. Fuel economy calculations based on original manufacturer data for trim engine configuration. Please confirm the accuracy of the included equipment by calling us prior to purchase.Sunroof, Navigation, Heated Seats, iPod/MP3 Input, Full-Time 4MATIC® All-Wheel Drive, Back-Up Camera, Remote Engine Start, Turbo Charged, HANDS-FREE ACCESS PACKAGE, ADVANCED LIGHTING PACKAGE, REAR SPOILER, WHEELS: 18 TWIN 5-SPOKE, MULTIMEDIA PACKAGE, PREMIUM PACKAGE. Polar White exterior and Silk Beige MB-Tex interior, C 300 trim. EPA 32 MPG Hwy/23 MPG City! Heated Seats, Navigation, Moonroof, Remote Engine Start, Back-Up Camera, iPod/MP3 Input, PANORAMA SUNROOF, HEATED FRONT SEATS, MULTIMEDIA PACKAGE, AMG® LINE, Full-Time 4MATIC® All-Wheel Drive, Turbo Charged, PREMIUM PACKAGE, Aluminum Wheels. FUEL EFFICIENT 32 MPG Hwy/23 MPG City! C 300 trim, Selenite Grey Metallic exterior and Black MB-Tex interior. KEY FEATURES INCLUDE Full-Time 4MATIC® All-Wheel Drive, Remote Engine Start, Back-Up Camera, Turbocharged, iPod/MP3 Input Mercedes-Benz C 300 with Selenite Grey Metallic exterior and Black MB-Tex interior features a 4 Cylinder Engine with 241 HP at 5550 RPM*. OPTION PACKAGES MULTIMEDIA PACKAGE 8.4 high-resolution color screen, COMAND® Navigation, COMAND® Single CD/DVD, Touchpad, Navigation Map Updates Included for 3 Years, DVD Coding, AMG® LINE Mercedes-Benz lettered brake calipers, AMG® Body Styling, AMG® Line Exterior, AMG® Floor Mats, Flat Bottom Sport Steering Wheel, AMG® Line Interior, Sport Suspension w/Sport Steering System, Brushed Aluminum Pedals w/Rubber Studs, Rear Spoiler, Front Brakes w/Perforated Discs, PREMIUM PACKAGE KEYLESS GO®, Blind Spot Assist, SiriusXM Satellite Radio, PANORAMA SUNROOF, HEATED FRONT SEATS. OUR OFFERINGS Tafel Motors' unparalleled customer experience begins the moment you enter our inviting, modern Mercedes-Benz dealership. Our entire staff of friendly, professional, and knowledgeable employees is focused and fully committed to meeting the needs of every guest visiting our showroom, service center, customer lounge, and our lifestyle boutique. Our goal is to deliver a customer experience so memorable that it sets a standard by which all future experiences will be judged. Horsepower calculations based on trim engine configuration. Fuel economy calculations based on original manufacturer data for trim engine configuration. Please confirm the accuracy of the included equipment by calling us prior to purchase.Heated Seats, Navigation, Moonroof, Remote Engine Start, Back-Up Camera, iPod/MP3 Input, PANORAMA SUNROOF, HEATED FRONT SEATS, MULTIMEDIA PACKAGE, AMG® LINE, Full-Time 4MATIC® All-Wheel Drive, Turbo Charged, PREMIUM PACKAGE, Aluminum Wheels. FUEL EFFICIENT 32 MPG Hwy/23 MPG City! C 300 trim, Selenite Grey Metallic exterior and Black MB-Tex interior. Moonroof, Heated Seats, Nav System, Remote Engine Start, Back-Up Camera, iPod/MP3 Input, Full-Time 4MATIC® All-Wheel Drive, PANORAMA SUNROOF, LED HEADLAMPS, MULTIMEDIA PACKAGE, AMG® LINE, Turbo Charged Engine, Aluminum Wheels, HEATED FRONT SEATS, PREMIUM PACKAGE. C 300 trim, designo® Cardinal Red Metallic exterior and Black MB-Tex interior. EPA 32 MPG Hwy/23 MPG City! KEY FEATURES INCLUDE Full-Time 4MATIC® All-Wheel Drive, Remote Engine Start, Back-Up Camera, Turbocharged, iPod/MP3 Input Mercedes-Benz C 300 with designo® Cardinal Red Metallic exterior and Black MB-Tex interior features a 4 Cylinder Engine with 241 HP at 5550 RPM*. OPTION PACKAGES MULTIMEDIA PACKAGE 8.4 high-resolution color screen, COMAND® Navigation, COMAND® Single CD/DVD, Touchpad, Navigation Map Updates Included for 3 Years, DVD Coding, AMG® LINE Mercedes-Benz lettered brake calipers, AMG® Body Styling, AMG® Line Exterior, AMG® Floor Mats, Flat Bottom Sport Steering Wheel, AMG® Line Interior, Sport Suspension w/Sport Steering System, Brushed Aluminum Pedals w/Rubber Studs, Rear Spoiler, Front Brakes w/Perforated Discs, PREMIUM PACKAGE KEYLESS GO®, Blind Spot Assist, SiriusXM Satellite Radio, PANORAMA SUNROOF, LED HEADLAMPS, HEATED FRONT SEATS. BUY FROM AN AWARD WINNING DEALER Tafel Motors' unparalleled customer experience begins the moment you enter our inviting, modern Mercedes-Benz dealership. Our entire staff of friendly, professional, and knowledgeable employees is focused and fully committed to meeting the needs of every guest visiting our showroom, service center, customer lounge, and our lifestyle boutique. Our goal is to deliver a customer experience so memorable that it sets a standard by which all future experiences will be judged. Horsepower calculations based on trim engine configuration. Fuel economy calculations based on original manufacturer data for trim engine configuration. Please confirm the accuracy of the included equipment by calling us prior to purchase.Moonroof, Heated Seats, Nav System, Remote Engine Start, Back-Up Camera, iPod/MP3 Input, Full-Time 4MATIC® All-Wheel Drive, PANORAMA SUNROOF, LED HEADLAMPS, MULTIMEDIA PACKAGE, AMG® LINE, Turbo Charged Engine, Aluminum Wheels, HEATED FRONT SEATS, PREMIUM PACKAGE. C 300 trim, designo® Cardinal Red Metallic exterior and Black MB-Tex interior. EPA 32 MPG Hwy/23 MPG City! Full-Time 4MATIC® All-Wheel Drive, Remote Engine Start, Back-Up Camera, Turbocharged, iPod/MP3 Input Mercedes-Benz C 300 with designo® Cardinal Red Metallic exterior and Black MB-Tex interior features a 4 Cylinder Engine with 241 HP at 5550 RPM*. MULTIMEDIA PACKAGE 8.4 high-resolution color screen, COMAND® Navigation, COMAND® Single CD/DVD, Touchpad, Navigation Map Updates Included for 3 Years, DVD Coding, AMG® LINE Mercedes-Benz lettered brake calipers, AMG® Body Styling, AMG® Line Exterior, AMG® Floor Mats, Flat Bottom Sport Steering Wheel, AMG® Line Interior, Sport Suspension w/Sport Steering System, Brushed Aluminum Pedals w/Rubber Studs, Rear Spoiler, Front Brakes w/Perforated Discs, PREMIUM PACKAGE KEYLESS GO®, Blind Spot Assist, SiriusXM Satellite Radio, PANORAMA SUNROOF, LED HEADLAMPS, HEATED FRONT SEATS. Navigation, Sunroof, Heated Seats, Full-Time 4MATIC® All-Wheel Drive, iPod/MP3 Input, Back-Up Camera, Remote Engine Start, MULTIMEDIA PACKAGE, PANORAMA SUNROOF, REAR SPOILER, WHEELS: 18 TWIN 5-SPOKE, HEATED STEERING WHEEL, PREMIUM PACKAGE, Turbo Charged, HEATED FRONT SEATS. Iridium Silver Metallic exterior and Black MB-Tex interior, C 300 trim. EPA 32 MPG Hwy/23 MPG City! KEY FEATURES INCLUDE Full-Time 4MATIC® All-Wheel Drive, Remote Engine Start, Back-Up Camera, Turbocharged, iPod/MP3 Input Mercedes-Benz C 300 with Iridium Silver Metallic exterior and Black MB-Tex interior features a 4 Cylinder Engine with 241 HP at 5550 RPM*. OPTION PACKAGES MULTIMEDIA PACKAGE 8.4 high-resolution color screen, COMAND® Navigation, COMAND® Single CD/DVD, Touchpad, Navigation Map Updates Included for 3 Years, DVD Coding, PREMIUM PACKAGE KEYLESS GO®, Blind Spot Assist, SiriusXM Satellite Radio, PANORAMA SUNROOF, BURMESTER PREMIUM SOUND SYSTEM, HEATED FRONT SEATS, WHEELS: 18 TWIN 5-SPOKE Tires: P225/45R18 Fr & P245/40R18 Rr, REAR SPOILER, HEATED STEERING WHEEL. VISIT US TODAY Tafel Motors' unparalleled customer experience begins the moment you enter our inviting, modern Mercedes-Benz dealership. Our entire staff of friendly, professional, and knowledgeable employees is focused and fully committed to meeting the needs of every guest visiting our showroom, service center, customer lounge, and our lifestyle boutique. Our goal is to deliver a customer experience so memorable that it sets a standard by which all future experiences will be judged. Horsepower calculations based on trim engine configuration. Fuel economy calculations based on original manufacturer data for trim engine configuration. Please confirm the accuracy of the included equipment by calling us prior to purchase.Navigation, Sunroof, Heated Seats, Full-Time 4MATIC® All-Wheel Drive, iPod/MP3 Input, Back-Up Camera, Remote Engine Start, MULTIMEDIA PACKAGE, PANORAMA SUNROOF, REAR SPOILER, WHEELS: 18 TWIN 5-SPOKE, HEATED STEERING WHEEL, PREMIUM PACKAGE, Turbo Charged, HEATED FRONT SEATS. Iridium Silver Metallic exterior and Black MB-Tex interior, C 300 trim. EPA 32 MPG Hwy/23 MPG City! Moonroof, Heated Seats, Remote Engine Start, Back-Up Camera, Flex Fuel, PANORAMA SUNROOF, SMARTPHONE INTEGRATION, REAR SPOILER, CONVENIENCE PACKAGE, Full-Time 4MATIC® All-Wheel Drive, Turbo Charged, PREMIUM PACKAGE, WHEELS: 18 5-SPOKE ALLOY. CLA 250 trim, Night Black exterior and Black MB-Tex interior. FUEL EFFICIENT 32 MPG Hwy/24 MPG City! KEY FEATURES INCLUDE Full-Time 4MATIC® All-Wheel Drive, Remote Engine Start, Back-Up Camera, Turbocharged, Flex Fuel Mercedes-Benz CLA 250 with Night Black exterior and Black MB-Tex interior features a 4 Cylinder Engine with 208 HP at 5500 RPM*. OPTION PACKAGES PREMIUM PACKAGE KEYLESS GO®, Blind Spot Assist, Heated Front Seats, SiriusXM Satellite Radio, HANDS-FREE ACCESS, PANORAMA SUNROOF, WHEELS: 18 5-SPOKE ALLOY Tires: P225/40R18, CONVENIENCE PACKAGE Garage Door Opener, Auto-Dimming Rearview & Driver-Side Mirrors, SMARTPHONE INTEGRATION Android Auto, Apple CarPlay, Smartphone Integration (14U), REAR SPOILER. WHO WE ARE Tafel Motors' unparalleled customer experience begins the moment you enter our inviting, modern Mercedes-Benz dealership. Our entire staff of friendly, professional, and knowledgeable employees is focused and fully committed to meeting the needs of every guest visiting our showroom, service center, customer lounge, and our lifestyle boutique. Our goal is to deliver a customer experience so memorable that it sets a standard by which all future experiences will be judged. Horsepower calculations based on trim engine configuration. Fuel economy calculations based on original manufacturer data for trim engine configuration. Please confirm the accuracy of the included equipment by calling us prior to purchase.Moonroof, Heated Seats, Remote Engine Start, Back-Up Camera, Flex Fuel, PANORAMA SUNROOF, SMARTPHONE INTEGRATION, REAR SPOILER, CONVENIENCE PACKAGE, Full-Time 4MATIC® All-Wheel Drive, Turbo Charged, PREMIUM PACKAGE, WHEELS: 18 5-SPOKE ALLOY. CLA 250 trim, Night Black exterior and Black MB-Tex interior. FUEL EFFICIENT 32 MPG Hwy/24 MPG City!